Preheat the oven to 160°C/fan 140°C/ gas 3. Line a 27cm, deep-sided cake tin with baking parchment. Put the butter, dark chocolate and stout into a large heatproof bowl and rest over a pan of just-simmering water, making sure the base doesn’t touch the water, until the butter and chocolate have melted. Lift the bowl out of the pan and leave to cool slightly. Add the eggs and sugar then whisk together well. Fold in the self-raising flour until the mixture is smooth. Pour the cake batter into the prepared tin and bake for 1 hour. Leave the cake to cool in the tin and then turn out onto a plate or stand. 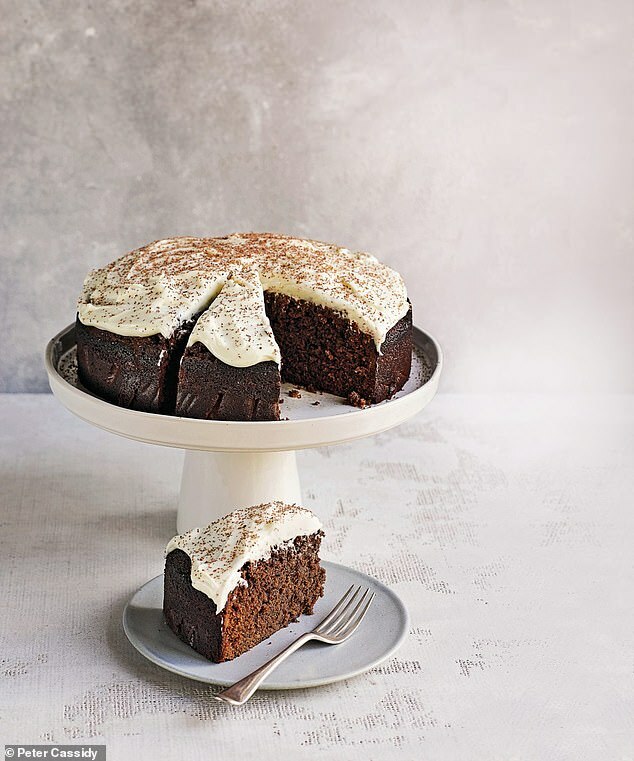 For the icing, whisk the cream cheese, stout and icing sugar together until smooth. Spoon the mixture on top of the cake and spread all over to cover. Grate the chocolate over the top of the cake and serve in slices. James Martin’s Great British Adventure is published by Quadrille, £25. To order a copy for £20, visit mailshop.co.uk/books or call 0844 571 0640, p&p is free. Spend £30 on books and get FREE premium delivery. Offer valid until 23/02/2019. Photographs: Peter Cassidy. James Martin’s Great British Adventure TV series starts on Monday at 2pm on ITV. iZombie season 5 air date, cast, trailer, plot: When is the new series of iZombie out?